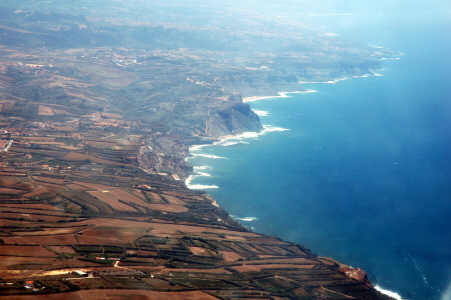 In 2005 I joined the clubflight to Spain and Portugal. 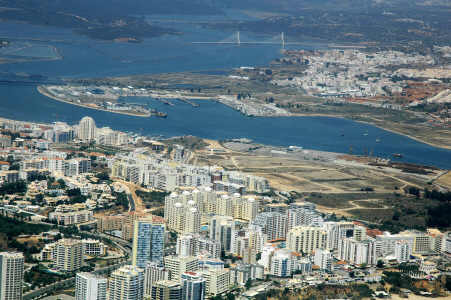 After the flight to Greece last year the group decided to go to Spain and Portugal this year. 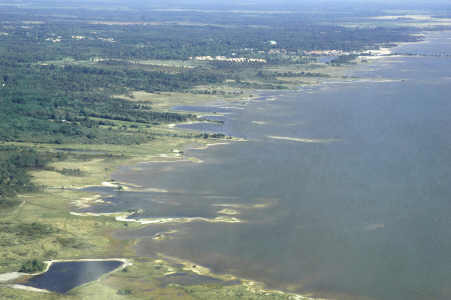 This year my wife did not join in and I flew with Ton Westerduin in the PH-SVI. 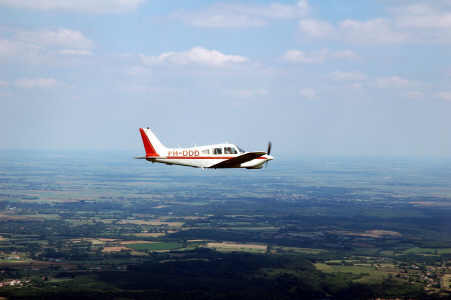 The PH-SVI is a piper warrior full IFR equipped and 160 horse power engine. 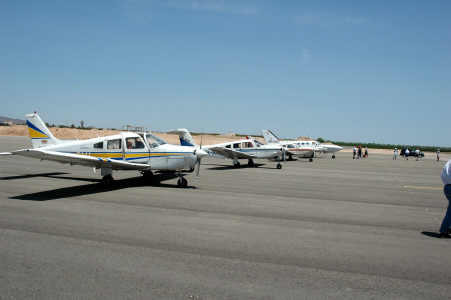 This year we had total 8 aircraft joining the flight with 19 persons. 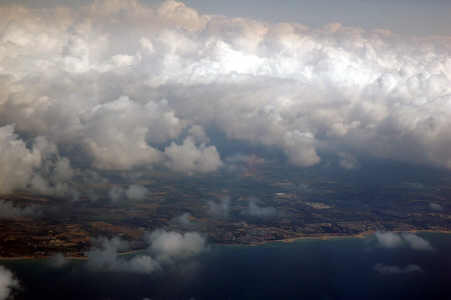 The flight started on the first of June. 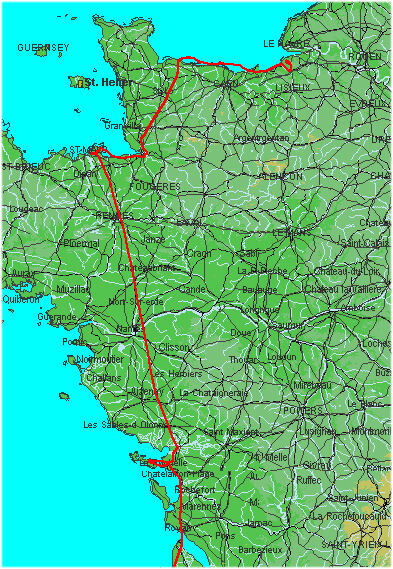 The first day was a trip from Rotterdam (EHRD) to San Sebastian (LESO) with a stop in Angers (LFJR) The flight to Angers was easy to do and with no special events happening. 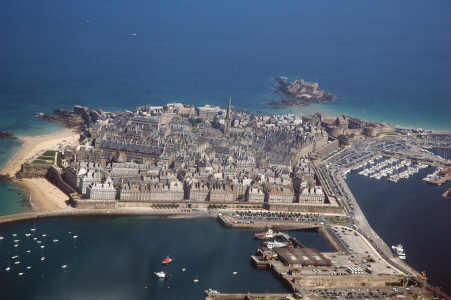 We enjoyed this first leg of our trip and after 3 hours 40 minutes we landed at Angers. 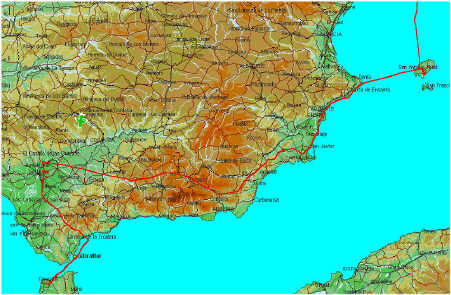 After refueling and something to eat we departed for our second leg to San Sebastian. 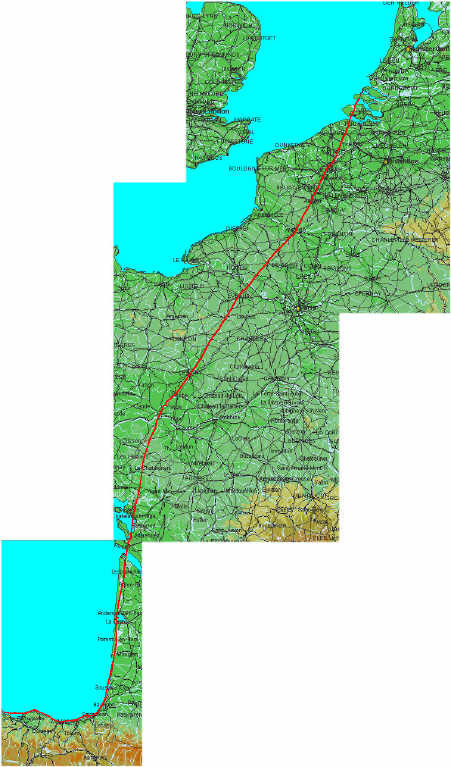 This leg was more difficult because our route passed a lot of danger area's and we had to ask ATC for clearances or alternative routing. 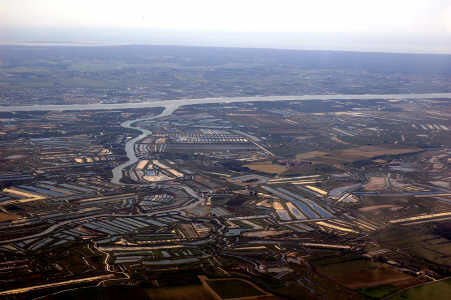 At Bordeaux some of our group were not allowed to fly along the coast and had to overfly Bordeaux. 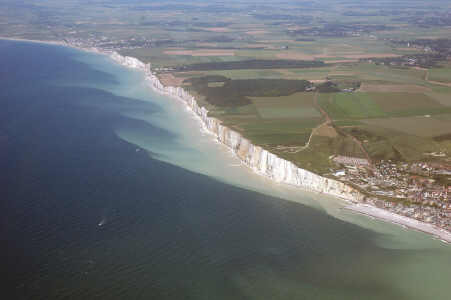 Our aircraft was a little slow and when we called ATC for clearance we were allowed to fly along the coast at 1000 ft or below. The aircraft in front of us were also routed to the coast but then ATC said them to leave his frequency. Some time later we got the same strange order to leave the frequency just when we were in front of a danger area. We asked the controller that we were about to enter the danger area and if he could inform us if it was active. He gave us the frequency for that area and we were then cleared to cross. This procedure was not so good because some of the aircraft in front of us crossed the danger area while it was active and an exercise was in action. Some time later we arrived in San Sebastian with a very nice view on the harbor and the city while we were on final approach for runway 22. This first day we had a total of 6 hours 15 minutes flying time and about 598 NM distance. After a nice dinner something to drink and a good sleep we were ready for day 2 with a trip from San Sebastian to Santiago de Compostela (LEST). 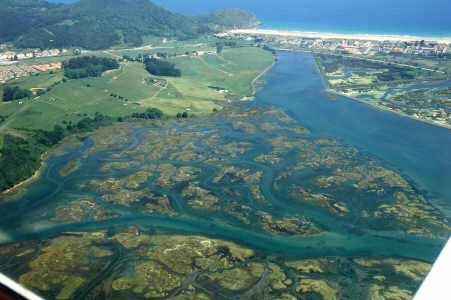 This flight was mainly on the North West coast from Spain (Baskenland) with very nice views and lot's of things to see. The flight took 3 hours 30 minutes flying time with about 318 NM distance. 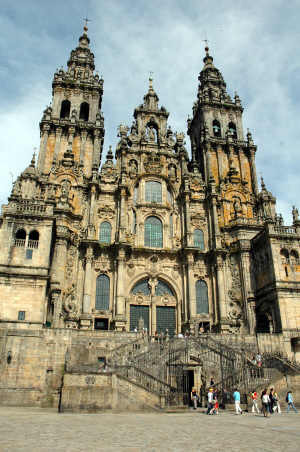 During the evening we visited the famous Cathedral of Santiago de Compostela and we had dinner in the area of the Cathedral. 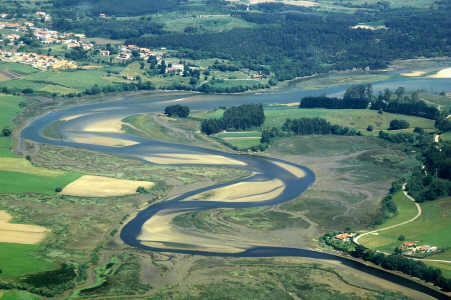 On the next day our planning was to fly from Santiago to Coimbra (LPCO) in Portugal. 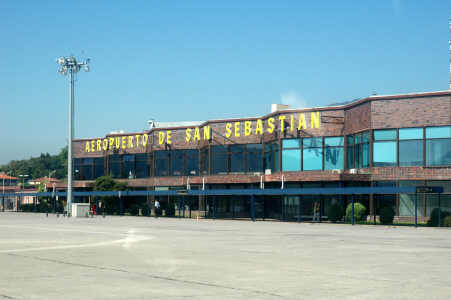 Due to cloud base and bad visibility we had to wait at the airport of Santiago for improvement of the weather. 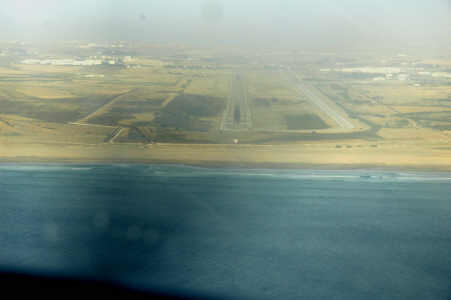 At around 14.00 hr local time visibility improved and we departed. This flight was a distance of about 170 NM distance with 1 hour 55 minutes flying time. In the evening we had a dinner at a restaurant by the river. Some of our group joined a fado while some others stayed in the restaurant. 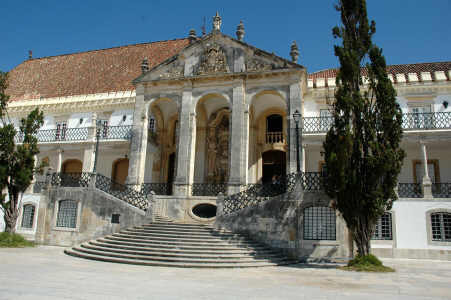 The next morning we took a visit to the university and library of Coimbra. 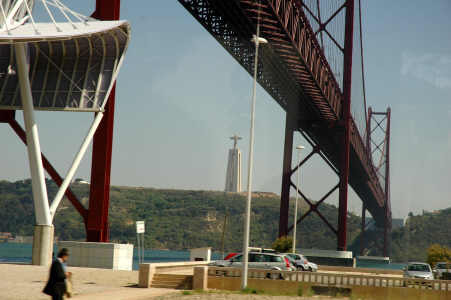 In the afternoon we departed for the next leg from Coimbra to Cascais (LPCS). This flight was total 104 NM and 1 hour 15 minutes flying time. 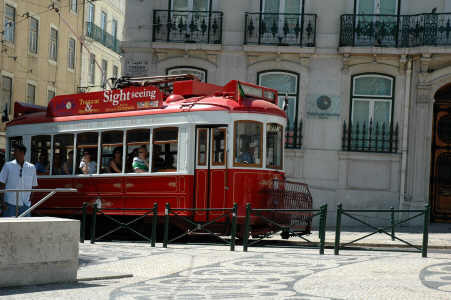 The next day was a day without flying but meant for sight-seeing in Lisbon. 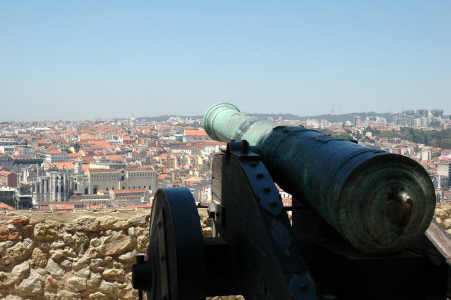 We took the train to Lisbon where we visited the city and the fortress. 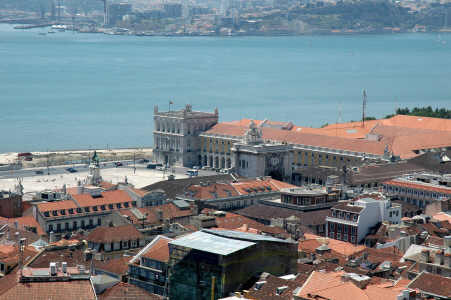 Only one day is far to short to see Lisbon but sure nice to visit. 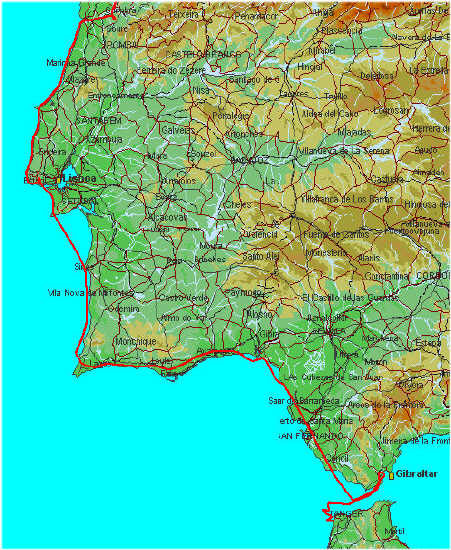 The next day we planned to go from Cascais to Gibraltar, then to Tanger and then to Sevilla. 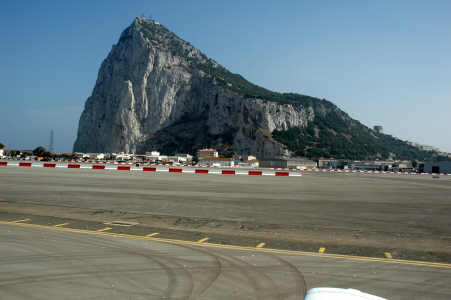 Due to local regulations it is not allowed to fly from Spain to Gibraltar or from Gibraltar to Spain. 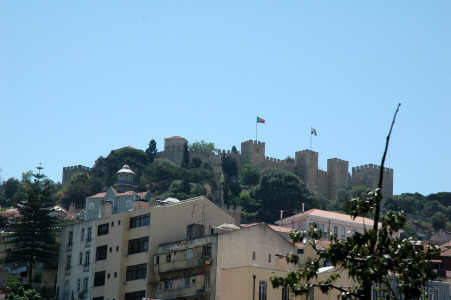 Therefore we planned the flight from Portugal to Gibraltar, then to Tanger and then to Sevilla. In the morning we realized that for our flight to Gibraltar we needed customs, which should have been arranged 24 hours before the flight. 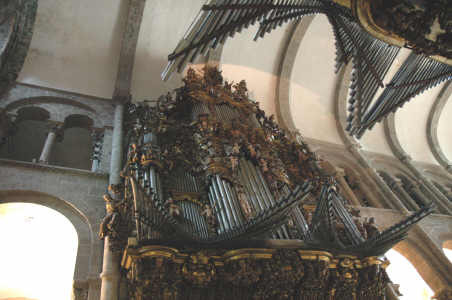 After some telephone calls to customs we were told that something was arranged for us. When we arrived at the airport of Cascais we had to make copies of our flying licences and the airworthiness declaration of our aircraft. After some waiting we were told to go to the plains, put in the luggage and wait for customs control which should arrive in 30 minutes. It took about 3 hours waiting before customs arrived and after 5 minutes we started our engines. Just after startup we were called by the leader of our group and we had to shutt off our engines for some discussion. 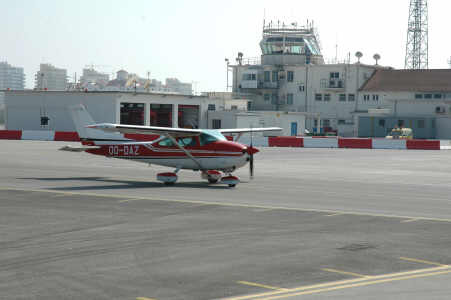 We received a fax that after our flight to Gibraltar we were not allowed to land at Tanger and that we were not able to refuel at Tanger. An alternate was provided being Tetuan but we had no landing charts of Tetuan available. 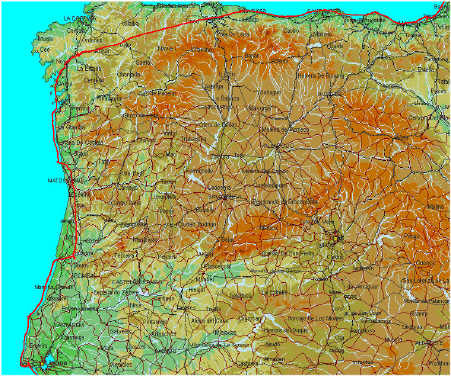 After some discussion we decided to go for that and fly from Gibraltar to Tetuan. 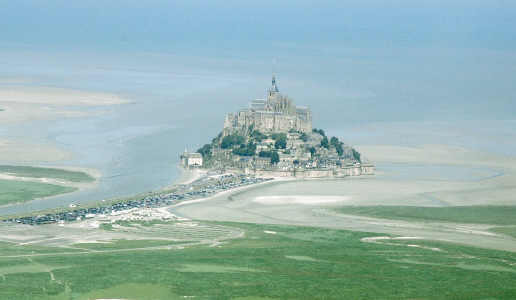 We again started our engines and took of for the flight to Gibraltar. This flight over 310 NM took about 3 hours 30 minutes flying. 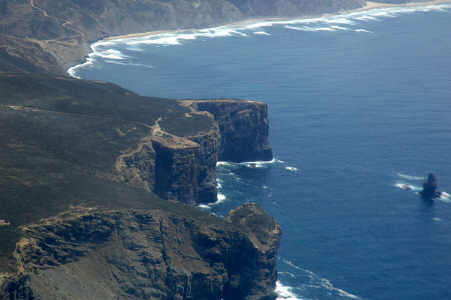 The route lead us over the most wunderfull area of Portugal the Algarve. 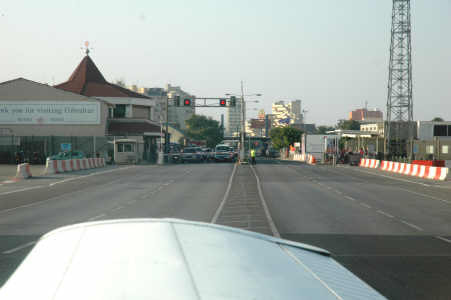 In Spain we passed some danger area's and were allowed to cross them at FL 75 so we did. When we passed the area on our charts we were still not allowed for descend because the area was hot. We saw several marine vessels on the most south west point of Spain. 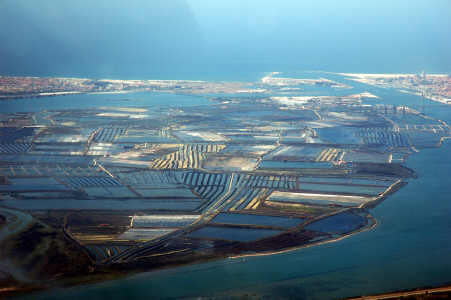 After we passed them we were alowed to descend for the approach to Gibraltar. 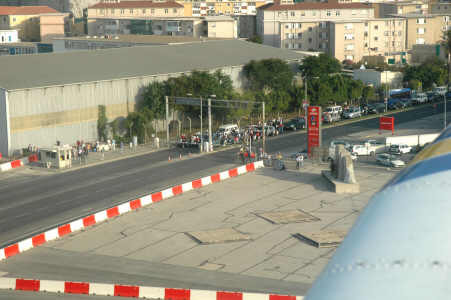 After landing on Gibraltar we saw the road crossing the runway and the cars and people waiting for the runway to be clear again. Its a very strange view to see many cars crossing the runway just a few minutes after one landed. During departure I took some pictures of people waiting for our group to depart. I think it must have been more than 15 minutes before all 8 aircraft left Gibraltar. When we were on Gibraltar we filed the flight plans for Tetuan but we found that low clouds and poor visibility were a problem to land at Tetuan and forecast for the next day at Tetuan was also very bad. 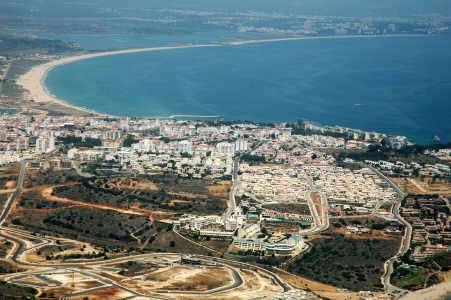 We filled flight plan for Tetuan with Tanger as alternate. 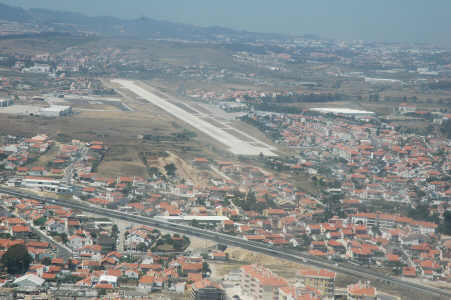 During the flight to cross the continent we decided to divert to Tanger (GMTT). ATC at Tanger was not used to having 8 aircraft in a short period and it really became a big mess before all aircraft landed. After many 360 holdings we were able to contact Tanger in the very busy RT channel and we received our clearences for landing. Due to the delay at Cascais, for customs reasons, we had lost so much time that it was no longer possible to go to Sevilla so we stayed the night in Tanger. The flight from Gibraltar to Tanger took 1 hour flying time because of the delay due to RT overload. We got almost 30 minutes delay due to the overload of Tanger for receiving the 8 aircraft of our group. After we parked at Tanger we saw a truck with AVGASS and we were asked if we liked fuel and due to the delay we decided not to take any risk and refuel for our flight to Sevilla (LEZL) the next day. 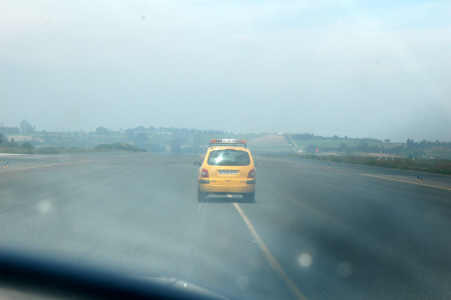 The road which is crossing the runway, closed for us. The next morning we left for the flight to Sevilla. This was a short flight but due to the marine exercise we were not allowed to fly the first part below FL75. We could fly from Tanger to west of the field and than climb in a holding patern to FL75 and than continue the flight to Sevilla. I did not like the idea of climbing for about 20 minutes in a holding patern so we asked for a route east of Tanger to stay clear of the exercise, which was OK. 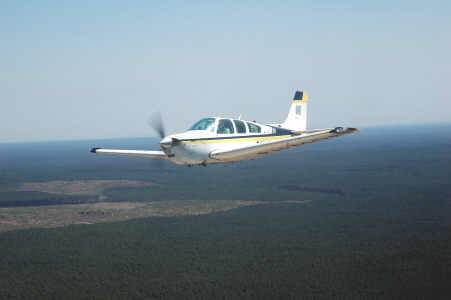 Most other aircraft of our group did fly via the climbing pattern and two went eastbound. 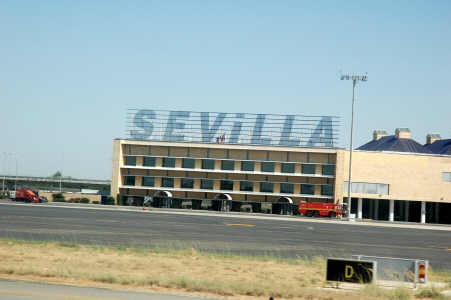 The flight to Sevilla took 2 hours and 10 minutes over a distance of about 210 NM. The next day we planned to continue from Sevilla via Murcia (LELC) then to Murcia Airpark (ZZZZ because it had just opened it still did not have an ICAO callsign) and then to Ibiza (LEIB). 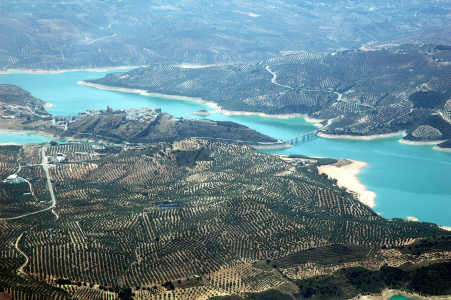 We departed from Sevilla in time and we passed a very wunderfull rough area of Spain the Sierra Nevada with its dessert. 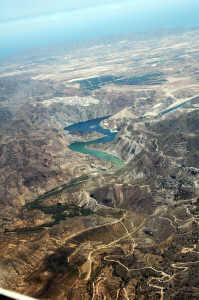 Also some very nice lakes and high mountains were in this region. 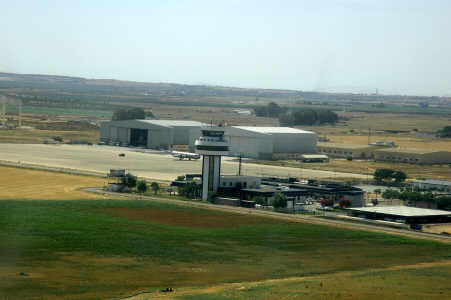 When we came close to our destination we heard that one of the first of the group had to wait in the holding for Murcia airfield. It seemed that the field was closed until 15.00 local time, that was more than 1hour holding time. 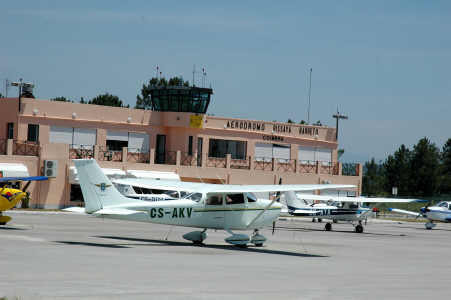 After some discussion on the talkback frequency it was decided to divert to Murcia Airpark and land there. 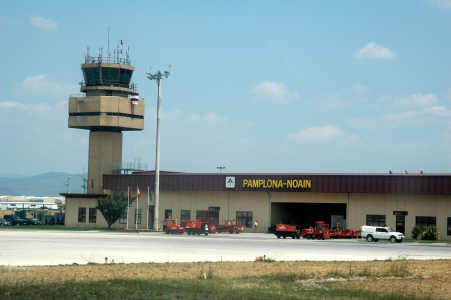 We received a very warm welcome because we were the first to land on Murcia airpark because they just received authorisation to receive aircraft. 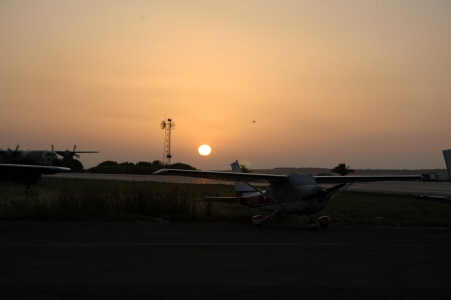 After some drinks and some foto's we had to continue for Murcia airfield for refuelling. 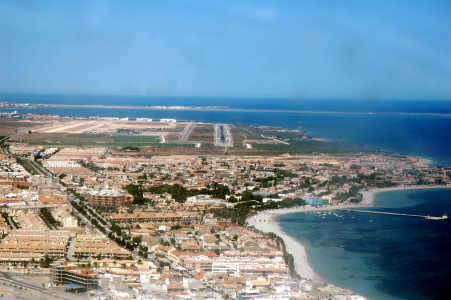 Only 2 aircraft of the group had to get fuel to fly to Ibiza, the others still had enough to go direct from Murcia airpark to Ibiza. 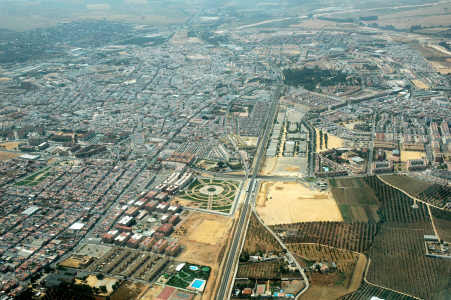 The flight to Murcia was a short one with only 25 minutes flying time. 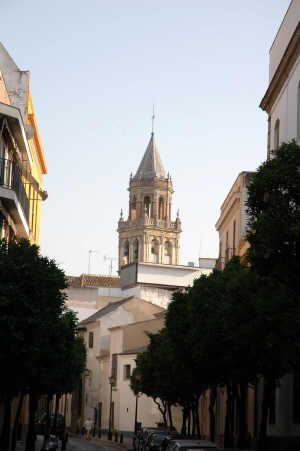 We enjoyed the view on the tourist area of Murcia. 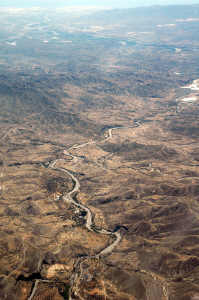 Later on we continued to the flight for Ibiza, flying along the coast from Murcia via Allicane we went direct to Ibiza. This was a flight of 1 hours and 5 minutes and about 160 NM. While flying close to Alicante the other aircraft PH-SRU came close in formation and we made some pictures of them. 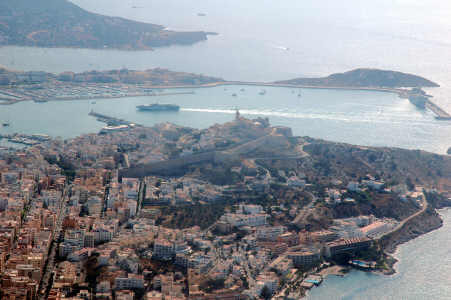 The approach at Ibiza was nice and easy to do. 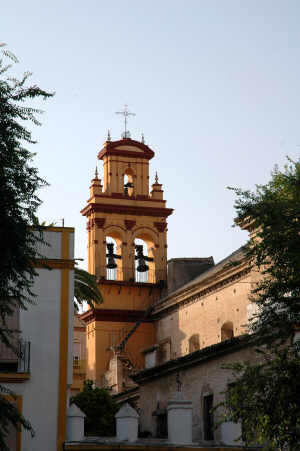 The next day would be a resting day for some sight seeing in Ibiza. A small group of us rented some motorbikes and crossed arround the island. Also we took some time for a swimm and of course a drink and something nice to eat. 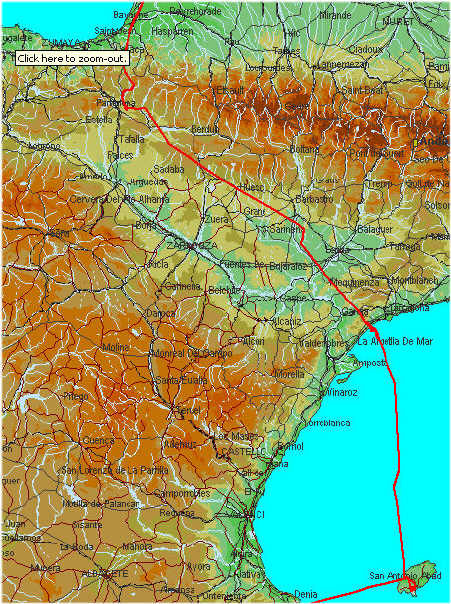 On the first day we departed from Ibiza into direction North, we entered the mainland of Spain Southwest of Tarragona to continue direction northwest direct to Pamplona. 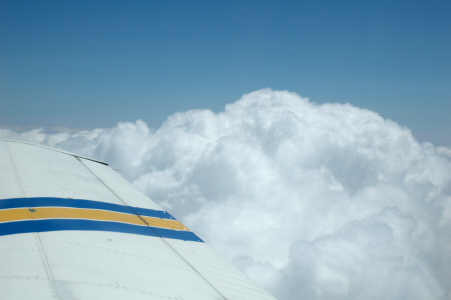 We had to climb due to some mountains to at least FL60 but we found some clouds to be below and above us. The two layers of clouds seemed to approach each other and we decided to return and try a second attemt below the clouds. This second attempt at 2000 ft initialy and then climb when needed close to the mountains was not feeling good and we returned again back to the coastline. We climbed to FL75 and tried again and then push a bit trough the clouds. Better in poor visibility close to clouds than in low visibility close to mountains. 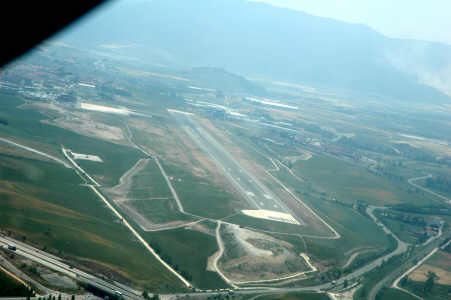 This attempt went well and we could continue VFR on top to Pamplona. 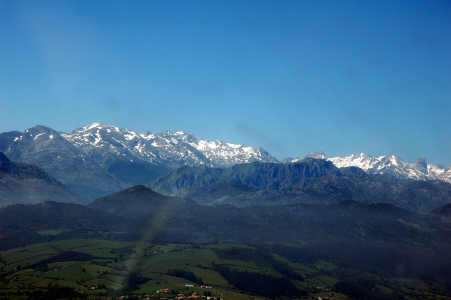 Close to Pamplona we descended to 3000 ft and we arrived after 3 hours 35 minutes flying time. 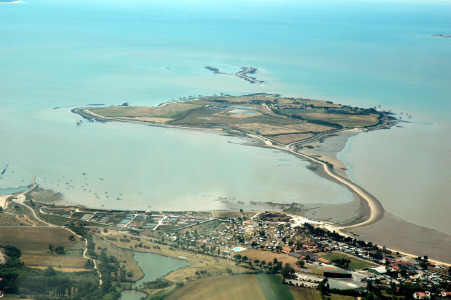 After refuelling we departed to La Rochelle. 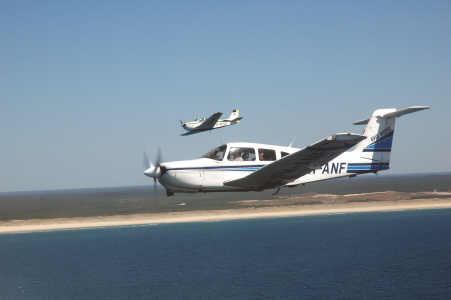 We had to fly below 1000 ft out of the coast and there we met two other planes of our group for a formation flight and some foto's. The second day we departed for Deauville following the route to St Malo and then to Mont Saint Michelle and then to the coast from Normandie where we saw the remains of the second world war. A little later we arrived at Deauville. 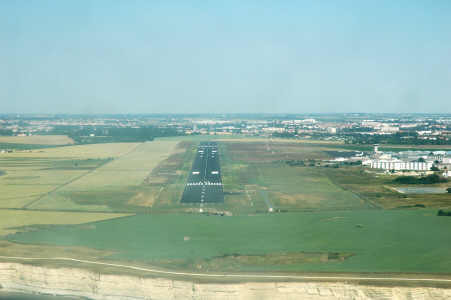 This airfield was very busy and we found after landing that a aerobatics competition was held at this airfield. After refuelling and something to eat we left for the last leg of our trip following the coast to Calais, Oostende to Rotterdam. 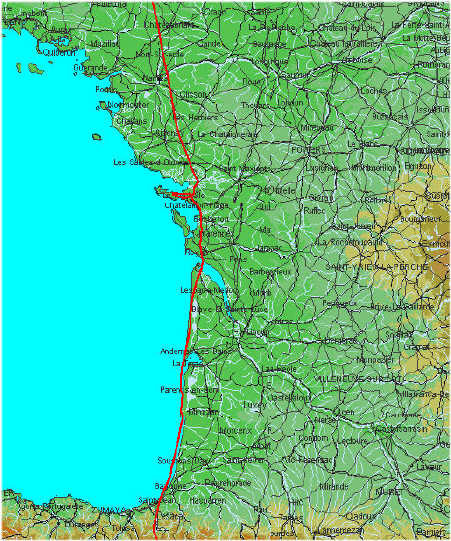 During this trip we made a total of 37 hours 50 minutes flying time and a total distance of about 3300 NM. We had a great time and can look back on a very nice trip. Hope you enjoyed this tripreport and perhaps one more will follow next year.